Would you pay $5K for a Color Classic? 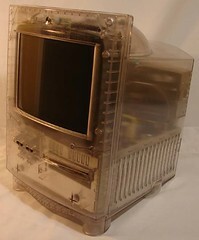 In June, 2006 Maple Ridge Auctions sold a rare Macintosh Color Classic prototype with a translucent case on eBay. The winning bidder paid $4,999. Check out the beautiful pictures in this flickr set (photos are used by permission of Maple Ridge Auctions).